Coal Export Terminal Nixed; Now What? Now what, indeed. The domestic market for US coal has been shrinking faster than you can say Clean Power Plan, and now it appears that the door is shutting on the export market, too. In the latest development, last week the US Interior Department announced a new rule aimed at closing off a coal royalty loophole. The loophole enabled exporters to pocket millions in revenue that could have gone back to the taxpaying public. The new rule comes under Interior’s Bureau of Land Management. It is included in a new regulatory package that also covers oil and gas as well as coal leases on federal and American Indian lands. 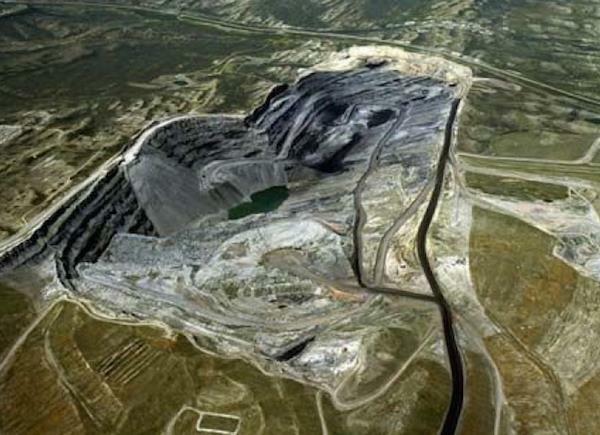 We’re zeroing in on the coal royalty rule because it has been the focus of considerable attention by regulators and industry observers, especially as applied to coal from federal lands in the Powder River Basin of Wyoming. The coal royalty loophole has been described in detail by a series of reports in Reuters, which trace the scheme to a 2003 loophole that applied only to natural gas exports. Coal industry stakeholders have argued that the Interior Department gave it the go-ahead to apply that regulatory framework to coal exports in 2009. The scheme worked by using affiliated brokers to buy US coal at artificially low prices, then sell high in coal-hungry Asia. US taxpayers received royalties based on the lower price, not the higher price. By 2011, the Interior Department was well aware that US taxpayers were getting the short end of the stick. At least one regulatory reviewer argued that the coal industry clearly misapplied the 2003 natural gas loophole, and the agency began taking steps to tighten up its regulations. In the meantime, in February 2013 the Interior Department launched an investigation into the practice on the request of US Senator Ron Wyden (D-OR), chair of the Senate Energy and Natural Resources Committee. Aside from the lost revenue, US taxpayers are also left holding the bag for the environmental impacts of coal extraction and transportation, so there’s that. The new coal royalty regulations took a while in coming, but they’re finally here under the moniker of “Consolidated Federal Oil & Gas and Federal & Indian Coal Valuation Reform Rule,” which took effect on July 1. …the rule reaffirms that valuation, for royalty purposes, is best determined at or near the lease and that gross proceeds from arm’s-length contracts are the best indication of market value. The rule specifically eliminates non-arm’s-length sales (that’s regulatory parlance for transactions with a hidden agenda) between affiliated companies as a benchmark for valuation. Instead, valuation is based on gross proceeds from the first arm’s-length-sale, which generally means the sale closest to the lease. The idea is to ensure a more accurate valuation of the actual coal marketplace, rather than continuing the historically difficult task of benchmarking transactions down the line. 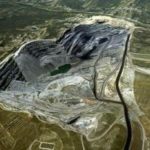 For that and other reasons, Interior recently launched a comprehensive review to identify and evaluate potential reforms to the Federal coal program in order to ensure that it is properly structured to provide a fair return to taxpayers and reflect its impacts on the environment, while continuing to help meet our energy needs. The coal industry is also facing pushback from other federal agencies. Most notably that includes the Environmental Protection Agency, but the US Army Corps of Engineers has also stepped into the fray. Earlier this year, the Army Corps halted the permit process for a key coal export terminal in Washington State. The agency based its decision on the relatively narrow issue of treaty rights with Native American tribes in the region, but it also evoked a set of environmental principles that date back to the early years of the Bush Administration. We’re not saying that the US coal industry will eventually vanish from the face of the earth — for that matter, BLM is still issuing new leases in the Powder River Basin — but it will play a marginal role in the sparking green future. Over the short term, the domestic market for US coal has been hit by competition from low cost natural gas, a fuel that is “cleaner” at the burn point but is also fraught with public health and environmental issues including water and air pollution, greenhouse gas emissions and other side effects including earthquakes. A more sustainable approach to energy management is well under way with the growth of renewable energy, energy storage, energy efficiency, transmission infrastructure, “smart grid” technology and related fields. There is also a movement afoot to revive nuclear energy as a key element in low-carbon economies, spearheaded by billionaire Bill Gates, founder and chair of the nuclear company TerraPower. If you have some thoughts about that, drop a note in the comment thread of the original story. Follow Tina Casey on Twitter and Google+. Images: via US Bureau of Land Management.